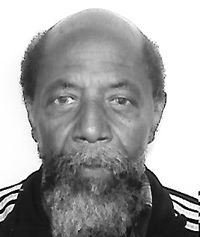 Augustus Funeral Home regrets to announce the passing of Mr. Kirwan Howard Philip Brangman. A Home Going service for Mr. Kirwan Howard Phillip Brangman, son of William and Alice Brangman nee Bascome, father to Melody Albuoy, step-daughters Suzette and Elaine, stepson Deon, mother of children Celia Dawkins, brother to Ms. Vernette Dorian, in his 79th year of Salvation Army, Hamilton will be held at The Salvation Army Church, North Street, Hamilton on Saturday, October 20, 2018 at 11:00 am. Donations may be made to Salvation Army Shelter. Relatives and friends may pay their last respects at The Salvation Army Church, North Street, Hamilton on Saturday, October 20, 2018 from 10:00 am – 10:55 am only. Lovingly remembered by grandchildren: Jaloni and Mya Albuoy, Nia and Akilah Simmons, Shani Thompson, Sherwayne and Deandra Brangman and Kharis Brooks; 8 great grandchildren; nieces: Sharnette [Deceased] and Jill; great niece: Callette; great nephew: EJ; great great nephew: Miquan; The Salvation Army Church Family, The Crockwell Family, The Olympic Club Family and many friends too numerous to mention.